Mark your calendar! Here’s what’s coming up soon. Downtown Pulaski is becoming a hub for entrepreneurship by attractive active innovators with a unique, livable downtown district oriented to outdoor recreation, commerce, arts, and culture. 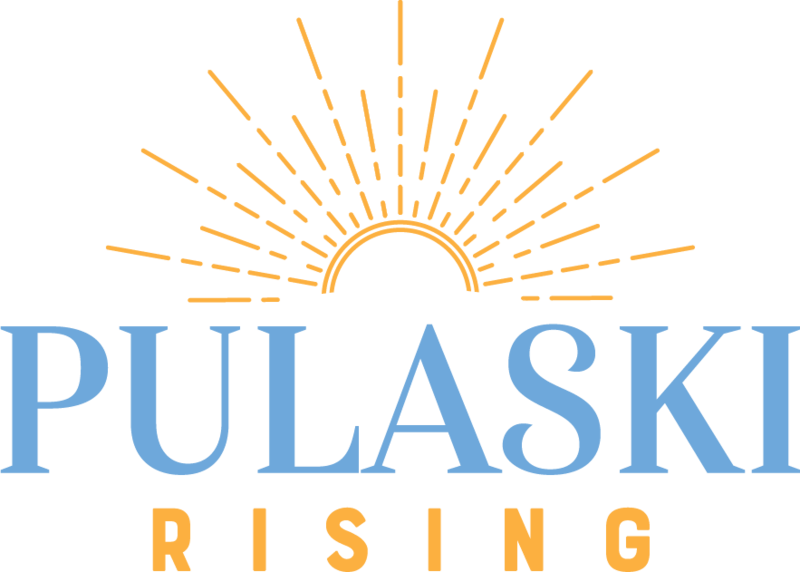 The Pulaski Rising Community Visioning process identified four guiding principles for continuing to shape downtown Pulaski. This website is intended to be a resource for community members that want to stay up to date on the different projects and initiatives happening in Pulaski.